欢迎光临阿罗公司, Welcome to Visit ALuo-sat website!! Aluo-sat is founded by Mr Aluo with his own name in the 1990s, has more than 15 years experience in the field of satellite TV. It’s one of the top-level consultancy and trading companies in the field of satellite TV in China. In the 1990s, We are the STB distributor of Pace, Humax, Nokia in China. Now, we cooperate with domestic brand Changhong to promote its DMB-TH receivers in China. Mr Aluo attends nearly all professional fairs around the world, NAB and CES in Las Vegas，Satelliate Show in Washington，Cabsat in Dubai, IBC in Amsterdam Holland, Anga Cable in Cologne Germany, CSTB in Moscow Russia, CCBN Beijing China and Hongkong Electronics Fair（Spring and Autumn Edition）etc. 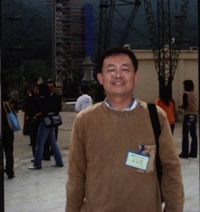 Long-term writing technique and professional articles on magazines and newspapers, Mr Aluo is now popularly regarded as a great authority on satellite TV in China. Except leading his own team runs the whole business of Aluo-sat, Mr Aluo also works as a senior consultant in public companies in Shenzhen and often gives lessons for training in STB factories. Aluo-sat constantly collects overseas professional magazines, Tele Sputnik in Russia, Eurosat in Italy, INFOSAT in Germany, Satellite & Cable TV in India, SatFACTS in New Zealand etc. We are also the sole distributor of Germany magazine TELE-satellite in China. Now, Aluo-sat collects websites and contact information of satellite-TV distributors and dealers as much as possible from all over the world for the convenience of large abundant of manufactures to promote products and look for customers directly. We also provide consultancy service for those who wants to look for manufacturers in China with detailed products specifications. Aluo-sat has built excellent business relationship with nearly all honest satellite TV manufactuers in China. Our honorific customers who has difficulty to knock doors of Chinese factories with small orders, please contact with us, we are capable of helping you purchase with best quality and competitive price products. We now also offer Aluo-sat OEM products, if you are interested, welcome to choose and contact with us. Hello, I am the company General Manager & Owner Mr Shi Gang Luo and responsible for all affairs of Aluo-sat. 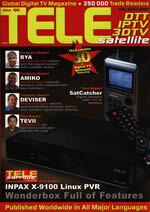 I am a TVRO Fan and have engaged in the field of satellite TV for more than 15 years. I’ve traveled more than 20 countries and attended nearly all exhibtions related to satellite TV all around the world. I am also keen on writing reports to introduce information of overseas satellite TV for Chinese TVRO fans after I return back from abroad. I visited and met with the owner of Chief Editor of TELE-Satellite Mr. Alexander Wiese, Lyngsat Mr. Christian Lyngemark, TPS, Open TV in France, Phoenix CNE etc during my trip in European Countries. Now, I work as a senior consultant in a listed company and often do training for some digital TV factories in China. Hello, Nice to meet you.My name is EmilyYin and I am an oversea sales. I are in charge of the oversea business of Aluo-sat and take care of our international customers. Though i don’t know each other now, maybe sometime later, i have chances to hear from each other and become good friends. Technical Support Hello, I am the company Engineer Alan Lou. Glad to meet you. It is my pleasure to help you as you get in trouble with anything related to satellite TV. I also do appreciate if you have any new products or latest technology to introduce to me. Welcome to contact with me, always here be your help.